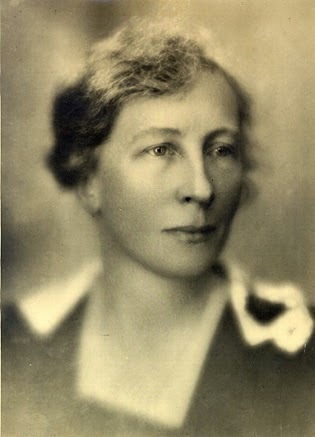 Today, when people are fretting about Amazon putting robots in place of cashiers at Whole Foods, and voice assistants are common productivity tools, we are still using the principles of humanizing automation that were first advanced by psychologist, engineer, and famous mom Lillian Gilbreth. With her husband Frank, she embarked on "motion study"--the movements and micro-motions we make in doing any task--but her emphasis always was on the human aspect of making movement more efficient. Her insights led to many things we take for granted, from shelves inside refrigerator doors to step-on levers that lift the lids of trash cans, among many others, and helped major companies make their assembly-line production more efficient and cost-effective. I could make a case for calling her a pioneer in UX, the user experience. Gilbreth had 12 children with her husband, famously captured by two of her children in the book Cheaper by the Dozen. At home, the children were a testbed for ideas, learning languages and doing chores using motion study. But when Frank Gilbreth died unexpectedly, Lillian had to expand her range to include more public speaking. In Belles on Their Toes, the sequel to Cheaper by the Dozen, the book begins with her departure for Europe, just days after her husband's death. She was headed to two major engineering meetings where he had committed to speak. She had been invited to substitute for him at the two sessions. At first, it seemed out of the question to accept. And then it seemed to be the one opportunity of keeping the family together. Engineering was, and still is, a man's field. Mother knew there would be difficulties in trying to continue Dad's business. But if she made a success of her two speeches in Europe, before some of the biggest engineers in the world, she might have an easier time in convincing Dad's clients that she could do the work. It was a case of public speaking helping to establish her reputation in her own right. And it worked. After she began speaking, major companies--Macy's department stores, IBM, Johnson & Johnson, and more--hired her to advise them, and the family consulting business continued. There are two things it seems to me engineering groups have to offer when when any type of problem comes up and one is the code of ethics which we all share. It’s a very simple code stated in the beginning as being our responsibility “to do our best to utilize the resources of nature for the benefit of mankind.” I suppose the people who first worded the code thought it was self-evident that the resources of nature would include the resources of human nature, but some people didn’t seem to recognize that and so the code was expanded. And now it reads “to utilize the resources of nature and of human nature for the benefit of mankind.” And there you see we have human being really emphasized twice. First, as being an enormous resource and second, as being the reason for, the cause why we are using these resources at all. And surely if there ever was a time when we needed to go on record not only as a profession, but as a people that we believe these resources should be used and should be used for benefit of mankind and not the harm of mankind, this is the time. And the other thing we have to offer, of course, is the scientific method. The questioning method. Not the kind of question, the Socratic kind, which we ask because we’re trying to show that somebody doesn’t know very much. Not even the legal type of question. But the simple question that a child asks when he really is intellectually curious and he wants to know the answer and he’s intelligent enough to listen to what is said. So I think we have those two things to offer and as we look at these challenges which are coming to everybody, perhaps we see as we put the question to ourselves that we do have a special responsibility. A lifetime of public speaking experience can start anytime: Gilbreth was in her mid-40s when her husband's sudden death forced her into public speaking. She was in her mid-90s when she died, and as this speech shows, she was a speaker for nearly half her life, a good four to five decades, despite her "late start." Don't be a one-trick pony: Gilbreth pursued both automation and psychology because she was fascinated by both. That meant that, when technology became an issue at odds with humans, whether on the factory floor or in the broader society, she was equipped to talk about both in a meaningful way. You can do the same with your specialty by finding a way to broaden your expertise to another realm, and then combine the two in your speaking. It will expand your utility as a sought-after speaker. Speaking to others in your profession? Take them to higher ground: Much of Gilbreth's expertise was in the weeds, the details and micro-details of how people move, behave, and think about tasks. But in this speech to colleagues, she took them back to the noble goals of the profession. Your professional conference isn't just a place for hands-on learning, but if you're the keynote speaker, taking the audience to a higher place and making them think is part of the job. Get involved in more conversations on public speaking with The Eloquent Woman. Follow our Facebook page, read great quotes from eloquent woman on Pinterest, or follow me as @dontgetcaught on Twitter. Learn how to be a better panel moderator with The Eloquent Woman's Guide to Moderating Panels. Each author provides an introduction that's a short course in how to approach these tales appropriately. They include in the collection now-controversial versions of African-American tales created by Walt Disney and others, since they, too, are now part of the canon. 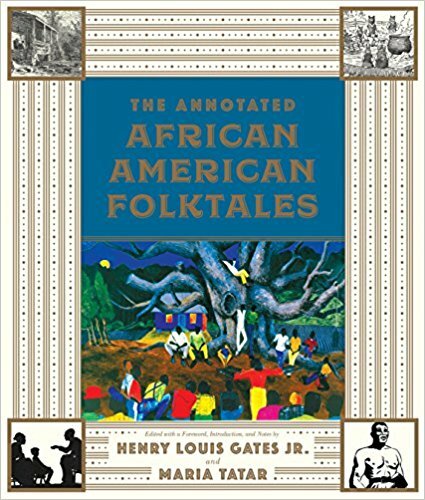 And they discuss how modern authors like Toni Morrison have adapted some of the African and African-American folktales in more modern work. 2018 is shaping up already as a great year for books with useful resources for speechwriters and public speakers interested in good storytelling. Be sure to add this volume to your bookshelf.